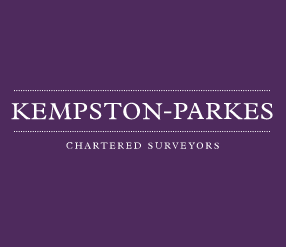 Kempston-Parkes Chartered Surveyors is an established, professional company of Chartered Surveyors that covers the postcode area of Harrogate. We have over 20 years’ experience in valuing and inspecting the properties of Yorkshire. Our exceptional local experience of the area has given us a solid knowledge of the types of property construction you can find in the location and of the local housing market. We have the expertise to advise confidently on the structural condition and market value of all property types. We have an excellent reputation for our high level of personal service and efficiency, gaining us a large amount of repeat business from happy clients. You will receive an accurate, credible survey that is tailored to your specific requirements. The no-obligation, initial consultation we offer allows us to determine your needs and advise you on the survey that would be most appropriate for you. We know how important it is to have peace of mind when entering into the large investment buying a property is, so we offer the full range of surveys to ensure that you receive the service that is right for you. We are an independent company so the advice, guidance and information you receive will be in your best interests. Following the survey we will provide you with on-going support to answer any questions you have. We can also arrange to go round the property with you – it is our priority to ensure you are reassured and in full certainty about your property purchase. We are a vigilant, supportive company, helping you to make informed decisions about the property to ensure your moving process progresses promptly. It was worth getting the homebuyer survey done because it spotted a few important problems I was not aware of, I also got a 10% discount for being a repeat customer. The first survey I had done through Kempston-Parkes I received the next day but apparently they needed to check the second survey and were not able to do so straight away (boss was away or something). I've knocked a star off because it took 5 days to receive the written report and the survey contained some stupid things like "it has off street parking". Completed quickly and seemed to be thorough. I was going to have a full building survey but was advised I don't need it. Didn't end up buying the house because of the issues the survey found so was worth the money and saved me making a costly mistake. An excellent, professional company who had done their homework and made the whole process extremely easy. I was very impressed by the service I received both in booking the survey and receiving the report. I would highly recommend them. The service was excellent and the advice given was very honest. I will definitely recommend this company.